So, I have just sent of my program to four students to evaluate and test my program. I currently have a research assignment for my Master’s to develop a multimedia learning solution for whatever one decides on. I decided to develop a program that helps one revise and study words for an upcoming test (the 2nd years at my Uni have a test on June 2, thus have a week to use the program). I based the program on various theories, one in particular being scaffolding. Although, scaffolding usually occurs within a classroom environment this program was created to be used as technical scaffolding, thus it has limited tutor/teacher influence. I’m however offering my services to the students to answer any questions they might have. Scaffolding works by providing foundations for learners before progressing to further more complex elements. Options are also given to let learners provide their own scaffolding. Constructivism learning theory is another big tenant in this app, in that learners create their own “best” use of the program. Unfortunately, it does not have much interactivity at present, due to the time constraints I barely had a week to develop the program from theory to practice. Thus, it was a few late nights for me the past few days. My programming is limited to highschool Java and some HTML/PHP. 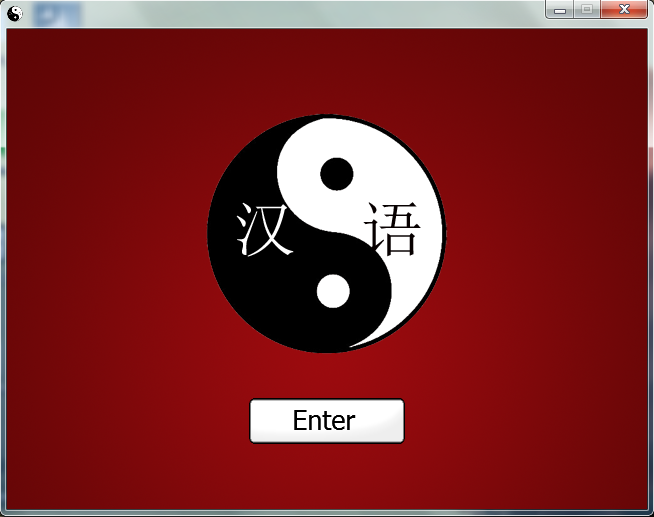 Thus, I decided to use Game Maker which I played around with alot during highscool afternoons making my own games. It was a quick 20min and I was back into the interface. 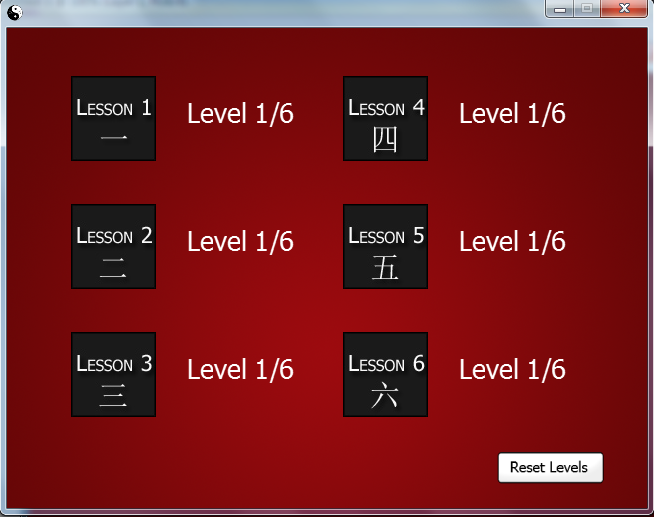 However, I stumbled into a massive hurdle: it does not support Unicode, thus can’t show Chinese scripts. FAIL. 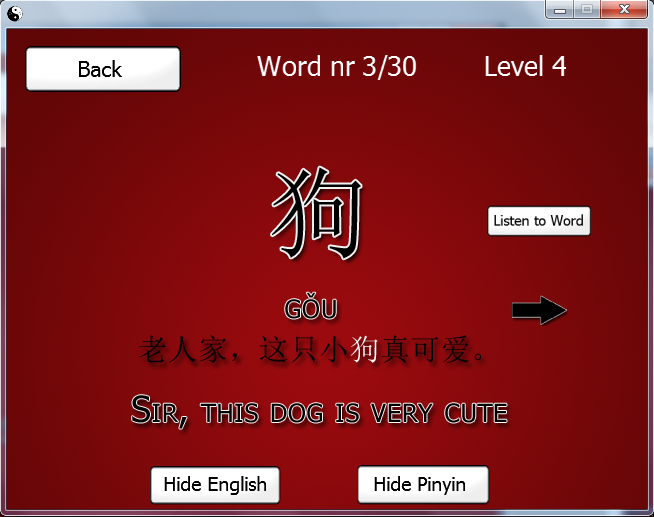 I then opted to use Photoshop and literally use every word/sentence/pinyin/definition as a sprite. This was a massive time sink. However, as a side effect I managed to get some good looking effects on the words, which adds to a nice aesthetic appeal. Furthermore, you can listen to each word as added exposure. For this assignment I’m using qualitative surveys to evaluate the program. One pre-test survey concerning study methods and after the test a survey on how the program aided their studies, if at all. I’m keen to get the results. However, for now, I’m quite nervous that everything goes smoothly!